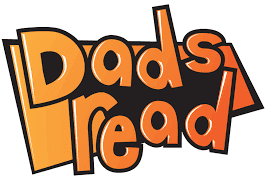 Dads Read With Your Kids! Parenting is a joint effort, but depending on the personalities of mom and dad, each parent may take on different roles when it comes to raising their children. Kids learn a lot by example, and they observe behaviors as a mode for learning how to behave themselves. This is why so many kids end up mimicking their parents or even becoming like them, as they get older. Observed behavior is picked up, both consciously and subconsciously, and the actions you take as a parent when you are with your child will play a huge role in their overall development. 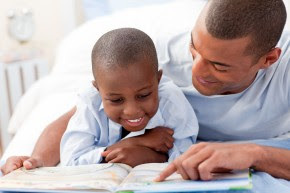 Fathers who read and read with their kids are important, especially when it comes to helping boys read. Studies over the years have shown that a majority of readers tend to be women, and elementary grade boys do not read nearly as much as their female counterparts. Due to still-potent gender roles, boys are taught to be physically active and may shy away from reading because it does not necessarily fall under that category. Boys look to their fathers as role models, which is why it is up to dad to help instill the importance of reading early on. You can do this by reading on your own, reading with your children, or encouraging them to read up on their favorite topics and activities as well. Reading along with your child can be extremely beneficial in a variety of ways. Not only does it allow for you to read together, but you can spend some quality time with one another as well. These moments will create memories that will last a lifetime. Kids also learn by example, so reading on your own can help push them in the right direction, too. If you’re not a big reader yourself, there are other things you can do as well, such as share stories about your life, explore photographic or informational books on topics you like, and share with your child. Involve your child in everyday writing tasks such as composing letters and emails or even paying the bills. However, dads can help boost the love of reading in daughters, too, so it is important not to forget that reading with any child is incredibly beneficial for their education while also helping build the foundations of your relationship with one another. As stricter and more traditional gender roles dissolve, it is important for both mom and dad to act as a team and to share activities and responsibilities with one another. 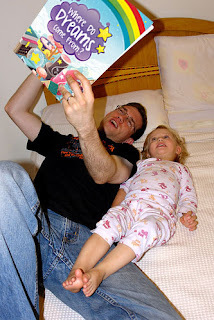 Dad’s should feel excited about reading with their children along with other activities like crafts or cooking, just as moms should feel excited about playing games, sports and building or fixing things around the house with their kids as well.